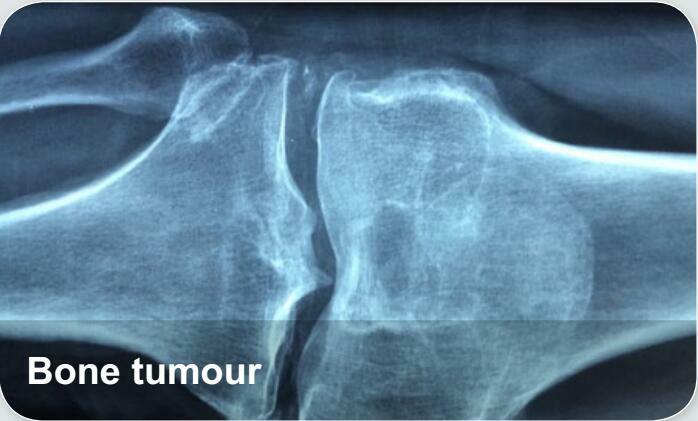 A bone tumor, (also spelled bone tumour), is a neoplastic growth of tissue in bone. The most common symptom of bone tumors is pain, which will gradually increase over time. Additional symptoms may include fatigue, fever, weight loss, anemia, and/or unexplained bone fractures.